I was introduced to the term "launch goggles" at PAX East this year. It's probably been around for longer than that, but that was my fist time hearing it. The term refers to the ability of the press to overlook flaws in a brand new AAA game during it's launch period. It's a mix of PR brainwashing, hype, and anticipation that can often lead to reviewers giving a game a higher score than they normally would. Why do I bring this up? 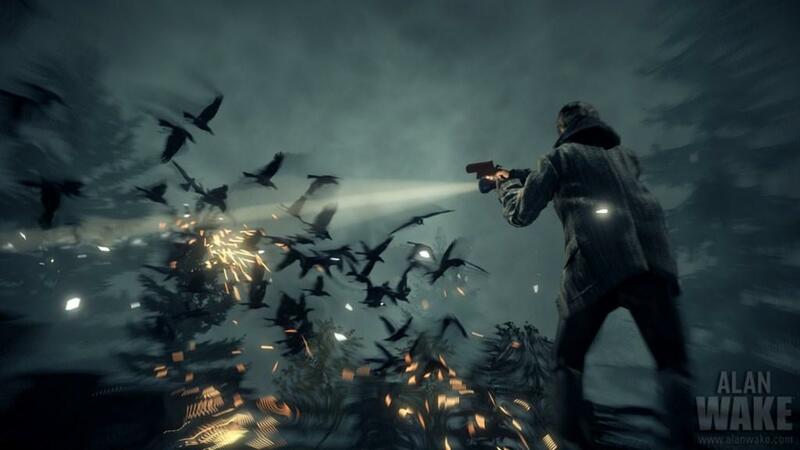 Because in reviewing Alan Wake I've had a hard time figuring out if it is really that good or if I've drunk so much of the Alan Wake Kool-Aid over the last five years that I can't help but give the game a good score. 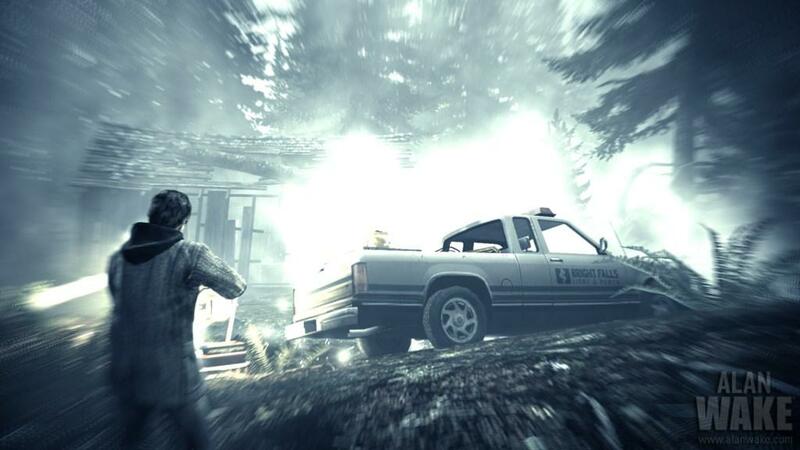 Alan Wake is set in Bright Falls, which feels like the Northwest version of Stephen King's Bangor, Maine. Much like the sleepy town in Maine, Bright Falls is plagued by lots of odd happenings and strange occurrences, so much that the townsfolk just seem to be used to people just disappearing for one reason or the other. 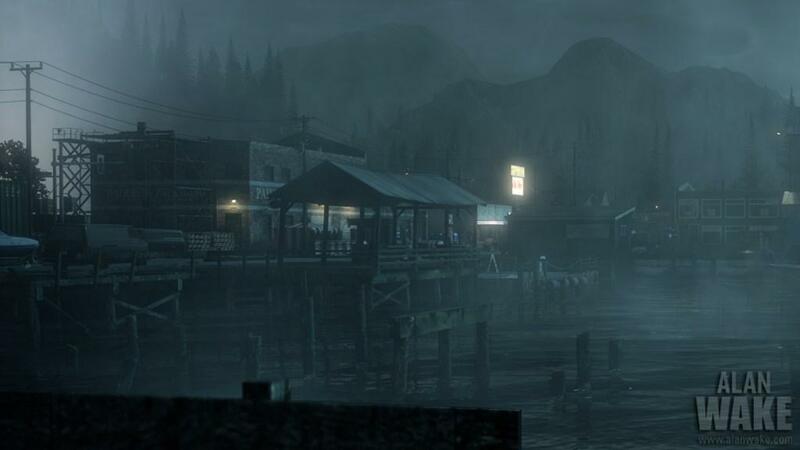 The town seems like the perfect destination for burned out writer Alan Wake to take a vacation and try to re-charge his creative batteries, so he can get past the writers block that's been plaguing him for the last several months. Along for the trip is his wife Alice, who helped convince Alan that the trip is a good idea. It's not until they get to Bright Falls and get to their cabin in the middle of a mysterious lake that they realize what a kook-haven Bright Falls is. They aren't in the cabin for more than a few hours before Alice is kidnapped by the dark presence living in the lake, forcing Alan (and you) to figure out what's going on and how to get his wife back. 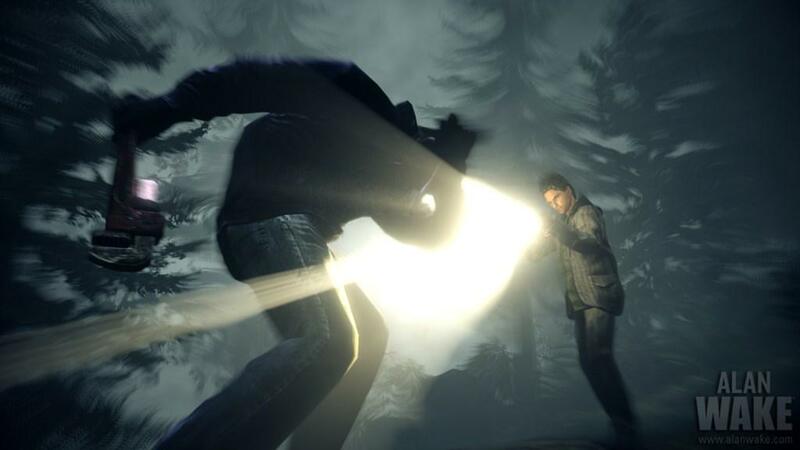 It's hard to get too far into the plot without spoiling parts of Alan Wake, so I'll just say that the plot will keep you guessing and there are enough curves and bends to keep you interested. Those looking for a firm resolution at the end will be a bit disappointed (it's not Sopranos bad but, like the ending of Lost, there's lots of room for interpretation). That's not a bad thing at all and it certainly leaves Remedy some room to flesh things out via DLC or a sequel (if the game sells well enough). The writing is tight and and the story is told in a variety of ways. The first layer is the standard narration by Herr Wake and exposition from the characters around him and everything is well scripted and thought out. The words are also married to a mostly perfect voice over cast, which further improves the experience. 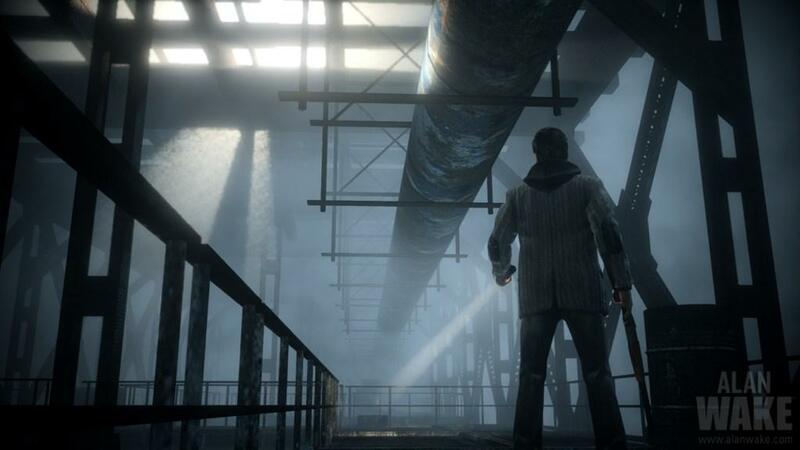 The second level of narration is is what separates Alan Wake from most other games on the market. After his wife is kidnapped, Alan wakes up dazed and confused in his car, which is precariously hanging over a ledge. After escaping the car he realizes that he has lost a week of his life. It turns out that during the lost week, Alan has written a novel which has been broken apart and the pages have been put in his path to fill him in on what he is supposed to do. This part of the narrative is amazingly strong as the pages range from events in the future, to events that have just happened, and events in the past. They do an amazingly good job of filling in the details and pulling the player through the game. The only downside is that you can occasionally miss the odd page or two if you aren't paying attention.There's a third level as well which is told via the television and radio stations that are scattered around the game. 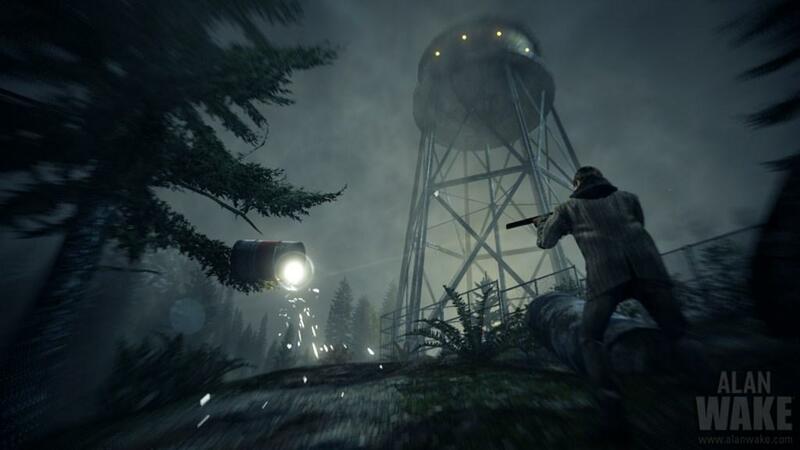 These tend to flesh out not only the plot but the history of the town and provides some information about how Alan Wake is impacting the town. The fantastic writing in the game is blended perfectly with the game's presentation. Sure, there are a few odd character models in the game (the model for Alan's wife Alice is a bit off in some parts) but for the most part the game is a shining example of what the current generation of technology can do. The graphics in the game are spectacular and help create a believable and creepy atmosphere. 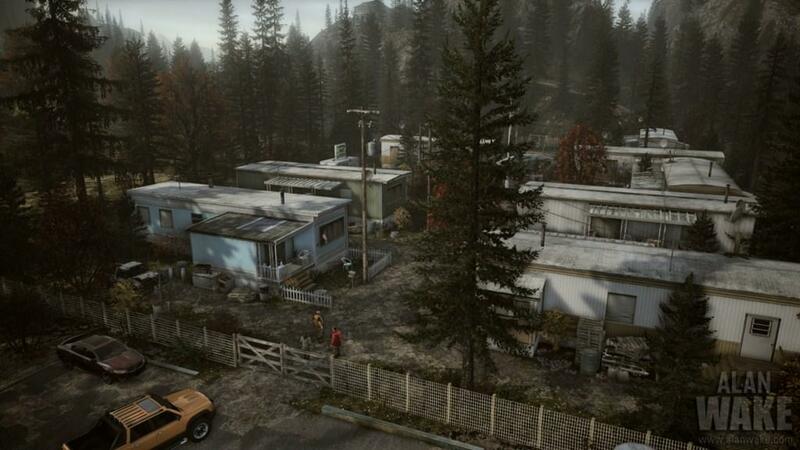 It's amazing that a Finnish developer can do such a great job in creating such a quintessential American town. There are plenty of nice graphical touches in the game, but my favorite was the use of the lens flare in the game. When you shine a light on one of the Taken they wince and the game uses the lens flare to show how much of the darkness you have left to burn off. It took me a while to figure out that's what they were doing but it's such a small, innovative thing that adds a game element to the game without adding a boring health bar. Also setting the game apart is that the narrative is broken up into six TV like episodes, each with it's own intro and outro. These help break up the game a bit and Remedy uses these breaks to incorporate flashbacks and re-cap what just happened in case you weren't paying attention or missed something in one of the cut-scenes. 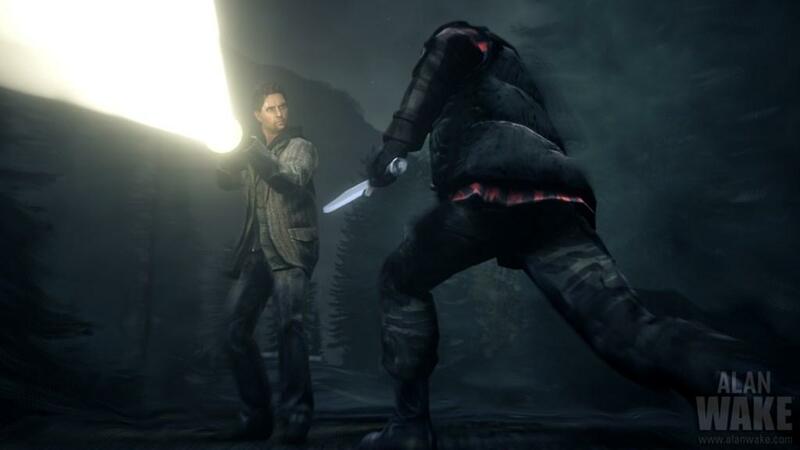 Alan Wake does stutter a bit when it comes to the gameplay. 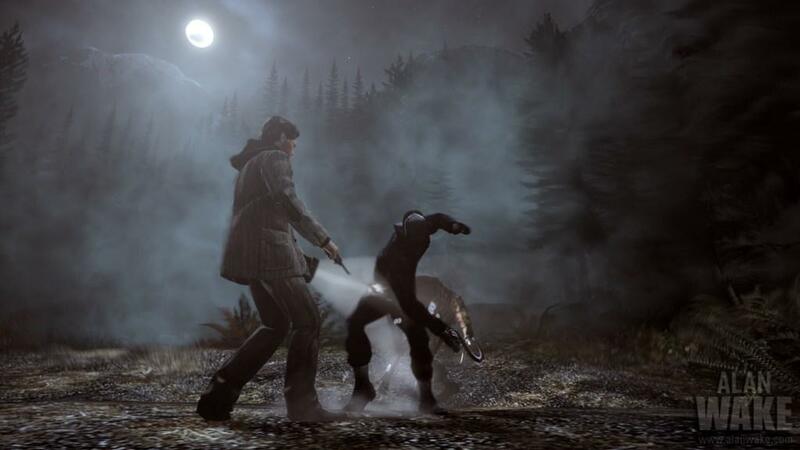 The core concept of the game is that the dark presence is using the inhabitants of Bright Falls to do its work and in order to defeat them you must first burn off the dark protective coating the Taken before dispatching them with a revolver/shotgun/rifle/grenade. The mechanism is cool at first but the game doesn't evolve much past that in the later stages of the game and it gets a bit repetitive towards the end as the game just varies the type and number of the enemies it throws at you. The game does a few creative things in the later stages of the game by having the dark presence pick up and throw items at you (which you also have to use light to defeat) but again it's something that gets old after a while. The mechanic does work well, as you have a wide variety of light sources and weapons at your disposal and you have to learn when it's best to use them in the game. For example, when you are getting mobbed by a gang of Taken you can use a flare to push them back so you can reload your gun or pop a new set of Energizer batteries into your flashlight. There are a couple of other special cases where you're given some highly unreliable work lights and a flood light to use but a little more variety in the game might have made the later stages of the game a bit more interesting. It's also hard to review the game without mentioning the product placements. It's a bit over the top in some areas (why is there an achievement for finding a hidden ad?) but in other parts it's a bit more subtle (Alan Wake loves his Lincoln MKT despite the fact it looks a grinning shark from the front). We've seen ads in games before but I'm not sure I've ever seen product placement that was this blatant. I have a feeling we will be seeing more of it and in time our brains will learn to filter it out like banner ads and commercials on TV. 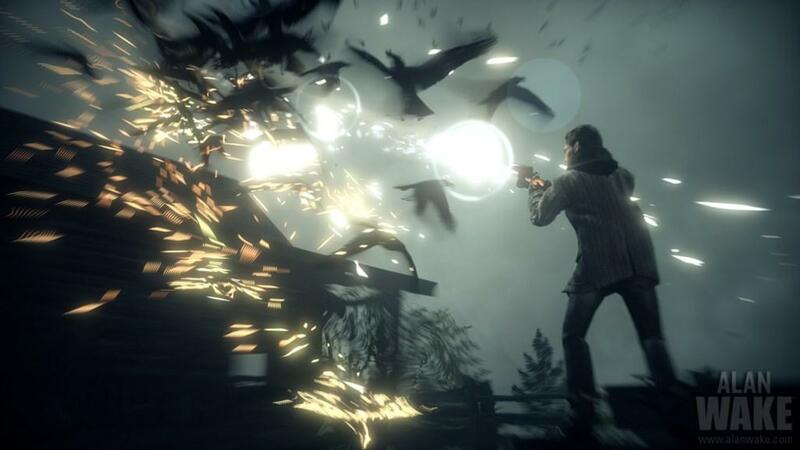 If you're looking for something to replace Lost in your life or if you're looking for a well written game with a high level of polish, then Alan Wake is a must have for your library. It's not perfect but the game does move the industry ahead a bit by introducing new ways to tell a story, and by telling a compelling story that's open for a bit of interpretation. It could use a little more diversity but it's still well worth your time. A solid and fun experience that's could use a little more gameplay diversity.